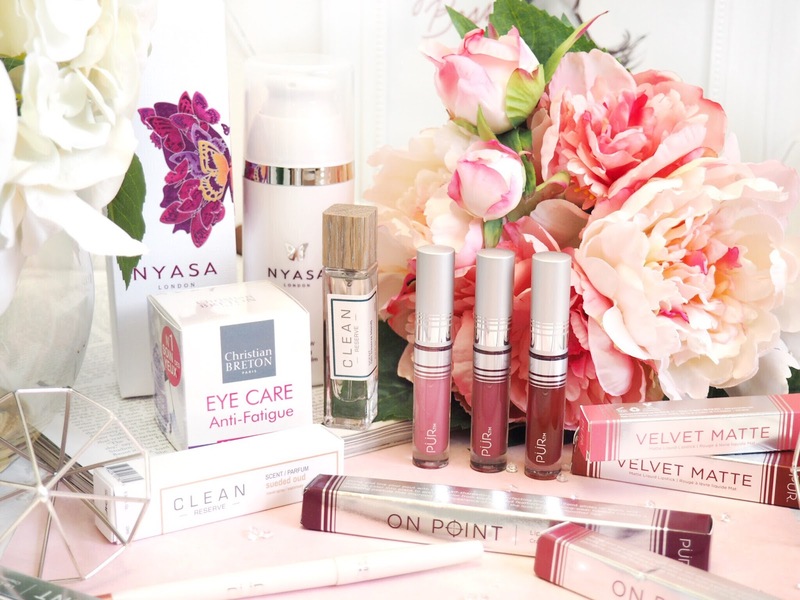 I love trying new beauty brands and products, and am quite often really surprised to find some absolute treasures hidden amongst the products that I kindly get sent to test. Prior to Baby Writes #2 arriving two weeks ago, I’d been trialling some really interesting products and because of this, I’ve found a couple of absolute gems that I really wanted to share with you guys. These four products have rated the highest on my list and are well worth checking out. My skin has been rubbish recently and I’ve had very little time to look after it (a newborn does that to you) so when this little bottle arrived with me, I was reaching for it instantly without much thought. I’m barely having the time to remove my make-up as well as to cleanse, tone and moisturise right now, but this has been my saving grace. 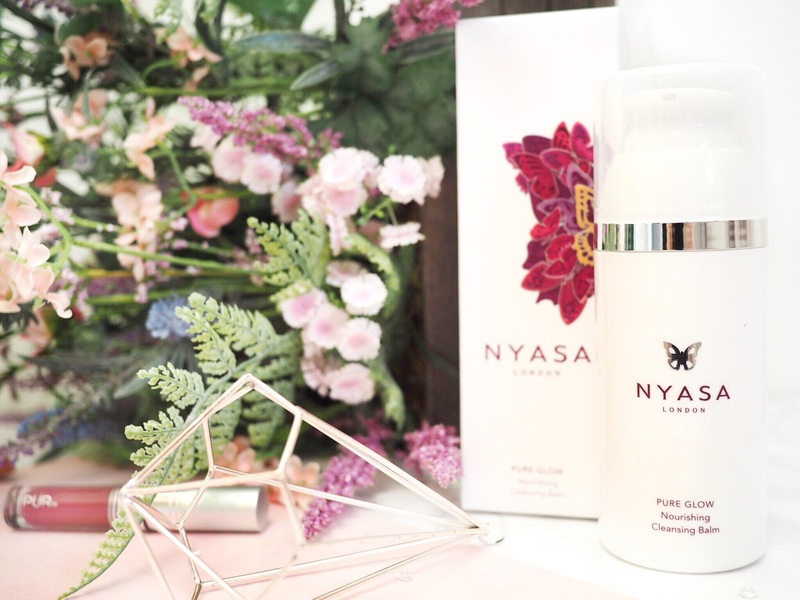 The Nyasa Pure Glow Nourishing Cleansing Balm does pretty much everything in one, so it saves loads of skincare steps and gets it all done in one swoop. Plus it’s got some amazing essentials oils in it, so it smells divine too. Winner. I’ve tried multi-use skincare products before but I’m loving this one at the moment. It starts by working to remove make-up, as once applied it really soaks into the skin. 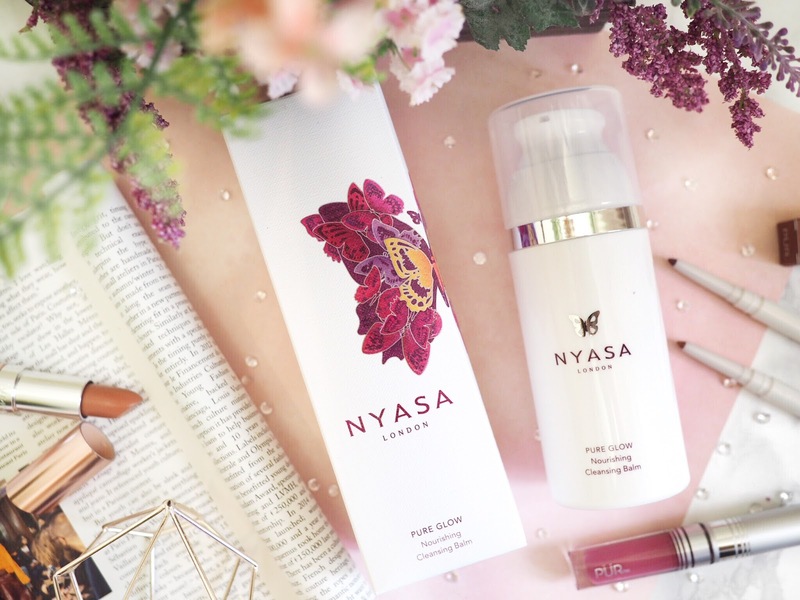 It’s designed to sink in and work to lift and remove impurities – so removing my make-up with this feels seriously satisfying. And because it’s got a balm texture and not so much a cream-like feel, it does have a more luxurious texture when applied. I put it on cold and then massage into the skin with my hands. Then when I’m finished, I wash off with warm water, however using a flannel or muslin cloth to remove it does make my skin feel exfoliated too. So when I feel like my pores need cleaning too, I’ll remove it this way. Because of the balm texture and the way it melts in to the skin, after each use my skin feels really nourished. Sometimes after cleansing and toning etc, my skin feels tight and dry, but with this it nourishes as it works, so my face feels soft and hydrated. I’ve also used this as a face mask a couple of times, which made my skin feel absolutely gorgeous. I applied once to remove my make up, and washed off as normal, then when the skin was dry, I reapplied a small amount and left it on for ten minutes. After this time I removed with a muslin in warm water and the combination of time soaking in the balm and the gentle exfoliation meant my skin felt lovely afterwards. The combination of vitamins in the balm has contributed to my skin looking and feeling a lot fresher, so in the midst of a really busy time with a new baby, this nifty skincare treat has quickly become an essential and I highly recommend it if you’re looking for an all-in-one skincare product to work well and save time. Another thing that’s become an essential for me recently is the Clean Reserve Fragrances. I’ve got two of the travel size sprays and they’re just the perfect size for keeping in my handbag. I forget to spritz my perfume on a lot at the moment, usually remembering when I’ve left the house and it’s too late. And considering I am religious about wearing perfume, it really bugs me when I forget. The problem is that a body spray won’t usually do it for me, and I don’t like to carry a bottle (usually glass) of perfume lose in my handbag, so it’s hard to find something small enough but high enough quality to keep with me. Yep, I’m a self-confessed perfume snob too. These tick both boxes. 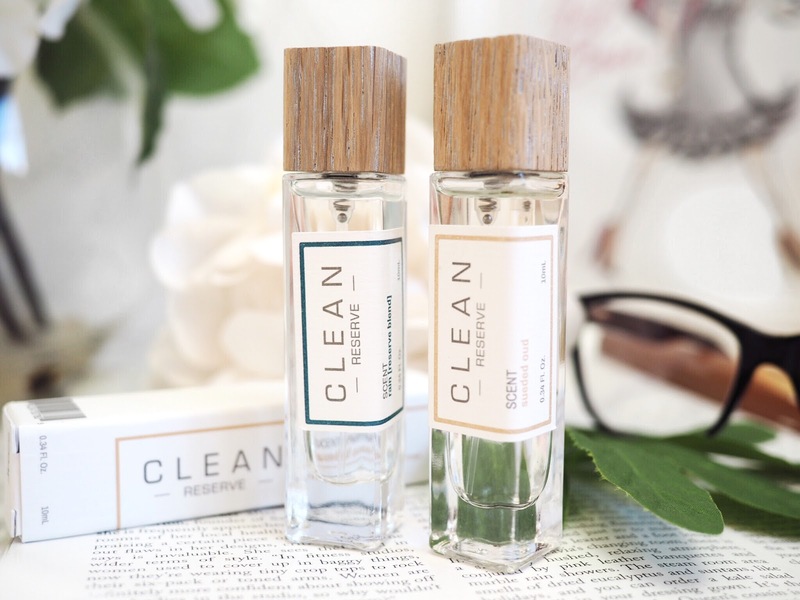 The Clean Reserve fragrances are a bit different to my other perfumes because they’re made with sustainable ingredients and even the alcohol within it is made from eco-friendly corn. Making them a ‘clean’ perfume gives me an even better feeling about using them, (especially around my baby!) and that’s without the scents themselves… Sueded Oud is my favourite by far because it’s got the woody fragrance of a traditional Oud scent but with a fresh and clean twist, and together with it’s notes of jasmine, it makes it much more feminine. So it’s got that perfect blend of intense musk and feminine jasmine that I love in my perfumes. 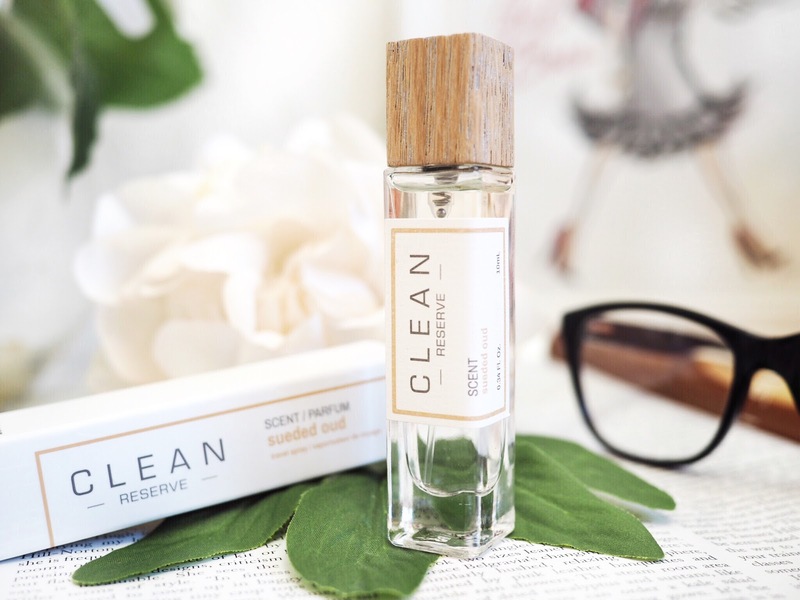 I also love that the Clean Reserve fragrances are designed to be layered together. A whole bottle of one fragrance will cost £79, but the travel sizes are £20 each meaning you can buy several and layer them together with ease to create something unique to you – another favourite of mine is Rain which is a really neutral scent that’s fresh and clean to wear. These are so handy and smell amazing so they’re an absolute essential for me. Pretty obvious why I need this…two words: NIGHT FEEDS. But even without a newborn, this eye cream is an absolute essential for pretty much everyone who notices under eye bags, under eye discolouration and eyes that show signs of tiredness. If you’re a night-owl, or an early riser then you’ll know that your eyes are the giveaway – those tired looking, sleepy eyes that give away your secrets. Personally speaking I tend to get puffy eyelids and grey under-eye bags when I’m tired – which for me, is all the time at the moment. I haven’t used a custom eye cream for a while now, and I certainly haven’t needed one as badly as I currently do…well, ever. 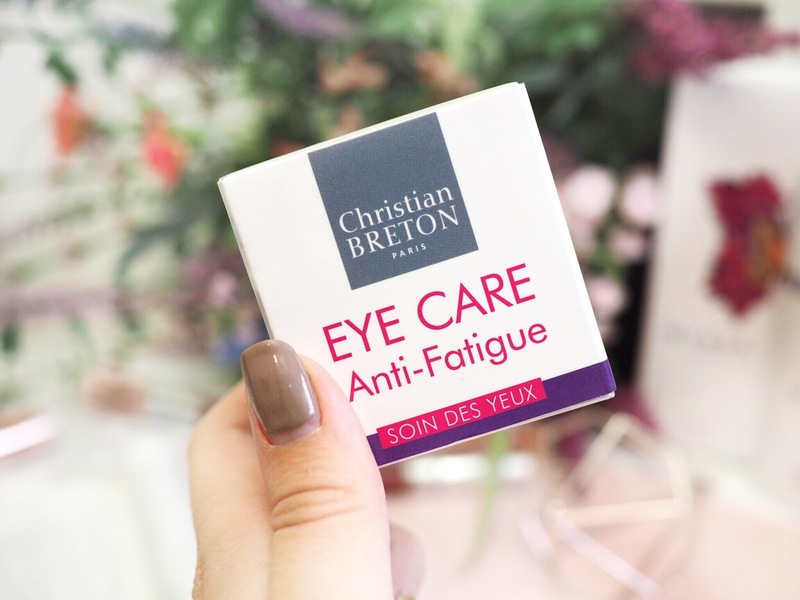 So the Christian Breton Anti-Fatigue Eye Cream has been more than handy. The gel-like cream is non-oily and you apply under and around the eyes, gently pressing in as you go. It’s got a real cooling sensation that helps with relaxing the puffiness and leaves eyes feeling more awake and alert. It’s refreshing but also not too intense, it basically wakes up your eyes. According to Christian Breton, it’s the eye-cream most favoured by Air Stewardesses – which gave me even greater comfort in it’s ability before I started trying it out. I’ve been using it for ten days and it’s helping my eyes to feel less puffy and decongested and more alert – even if I don’t feel it. 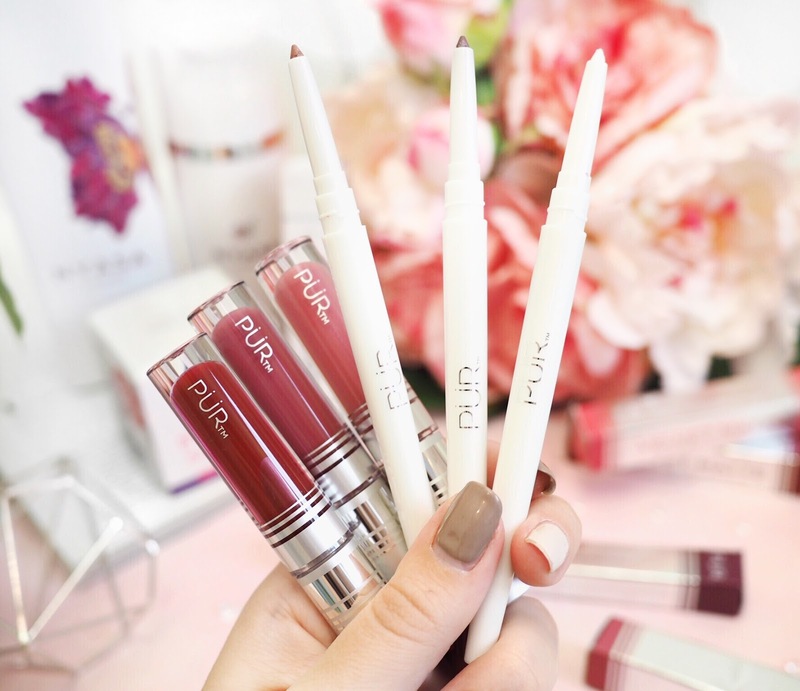 Ever happy to try new make-up, I’ve relied on the Pur On Point Liners and Velvet Matte Liquid Lipsticks recently. 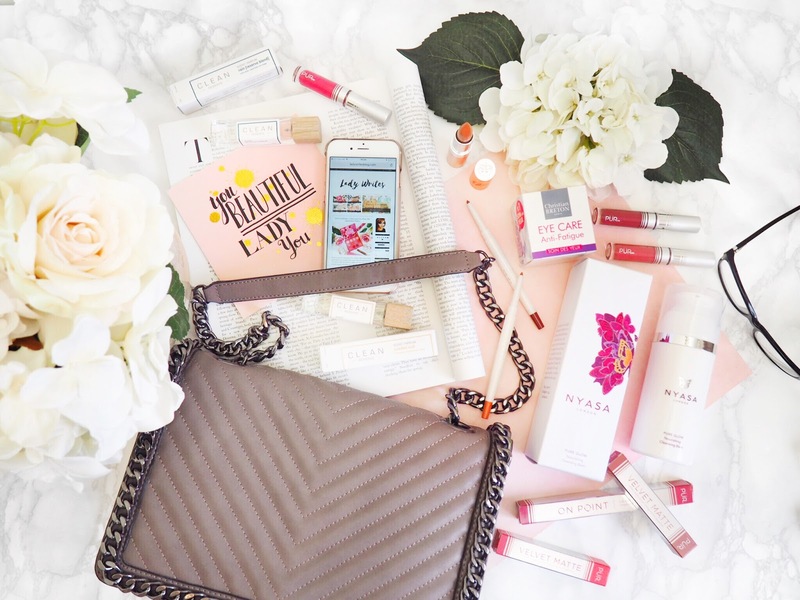 With so many liquid lipsticks on the market now, it’s hard to find something special, that stands out from the crowd. For me the Velvet Matte’s are lovely liquid lipsticks with intense colour payoff, they’re easy to apply, perfect for when you’re in a rush and great for all skin tones. I don’t find that they flake or dry my lips out either, which to me is always the downside of liquid lipsticks. So these are a good alternative if you want matte lips without dryness. An absolute gem in the collection was the clear On Point Lip Liner which looks transparent but it’s like insurance for your lipstick. It applies in the same way you’d apply a normal lip liner, but as it’s clear, you can’t see it. However it’s fantastic at keeping lipstick ‘inside the lines’ and preventing bleeding or crooked edges when sometimes our lippie might spill over. And what’s more is that all the On Point Liners have a plumping agent so they give lips a fuller look too. Our are one of those brands I’d heard of but not tried much from, so using these has been really fun recently. A quick slick on in the car in-between errands and I don’t need to worry about my lips. 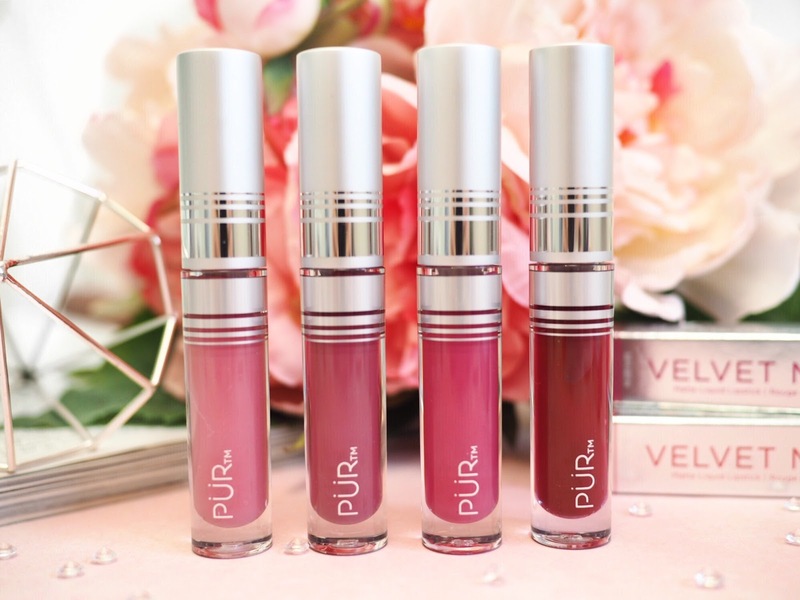 I’ve got a competition to win one of three sets of the Pur Velvet Matte Liquid Lipsticks and On Point Liners – worth £96 on Twitter! Head HERE to enter. So those are the four products that I’ve been relying on heavily recently, that have become absolute essentials in my beauty regime. I can’t recommend them highly enough because for me they’ve worked wonders.